“Where the Law of God is NOT taught, there Satan dwells” - A Jewish proverb. Perched atop a windswept mountain along the Turkish coastline and gazing proudly - almost defiantly - over the bright blue Aegean Sea sit the ruins of Ancient Pergamum. 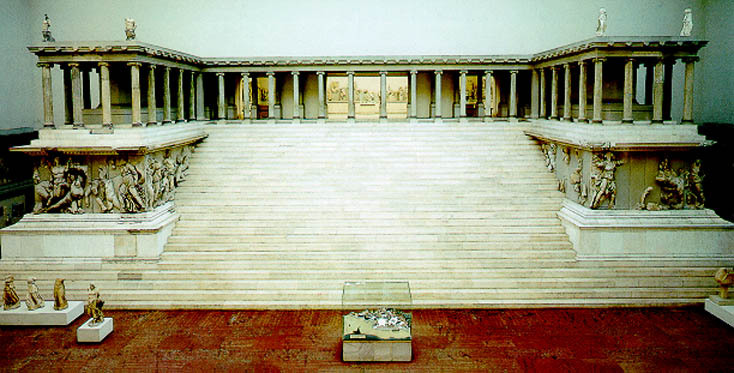 Although the majority of its superb intact monuments are now in Berlin’s Pergamum Museum, enough remains of the acropolis for the visitor to sense the former greatness of the city that once rivalled Alexandria, Ephesus and Antioch in culture and commerce, and whose scientific advancements in the field of medicine resonate through the corridors of today’s medical treatment facilities. 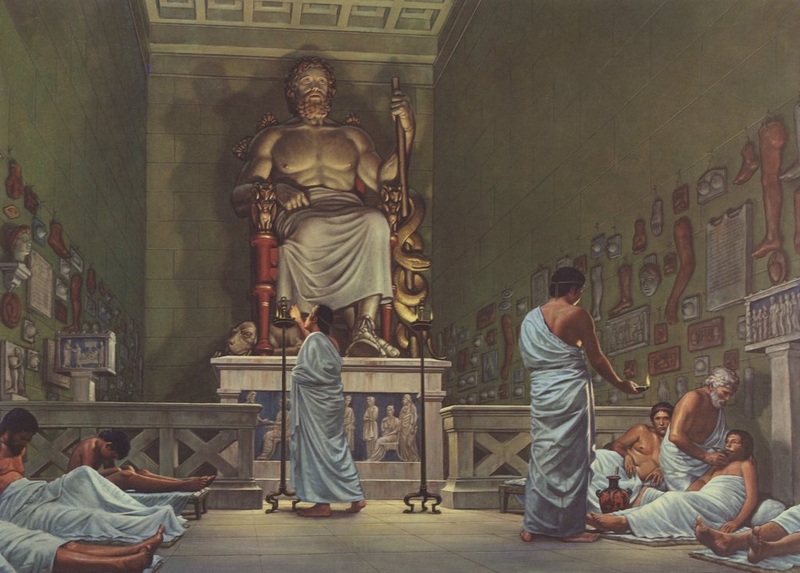 Contrasting sharply against this image of enlightened learning is that of “Satan’s Throne,” as described by the Apostle John imprisoned on the Island of Patmos (Revelation 2:12-13), which some historians interpret as referring to the - “Great Altar of Pergamum,” one of the most magnificent surviving structures from the Greco-Roman world. Antipas, a Christian bishop of Pergamum was believed to have been martyred here at the end of the first century A.D., around the time when many Biblical scholars believe the Book of Revelation was composed. If you rejected the “divinity of the emperor,” then that is the equivalent of rejecting the city of Rome and believers were killed for this. Antipas was sentenced to death on the Altar of Zeus. At the top of the altar was a hollow bronze bull, designed for human sacrifice. The method of execution suffered by Antipas and many others was that they would take the victim and place him inside the bull, and they would tie him in such a way that his head would go into the head of the bull. 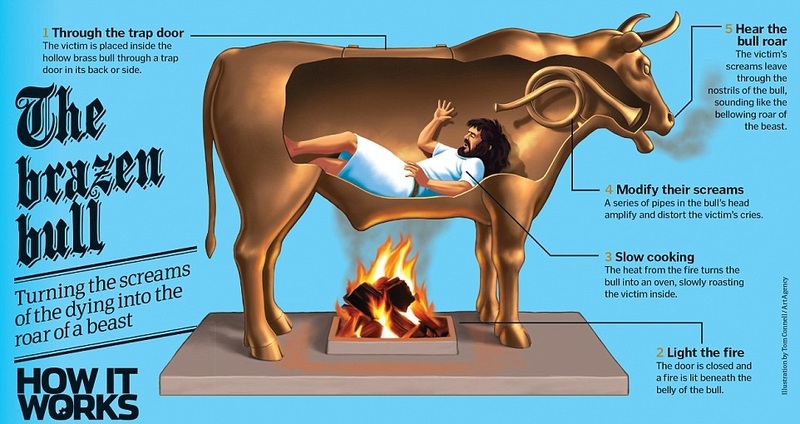 Then they would light a huge fire under the bull, and as the fire heated the bronze, the person inside of the bull would slowly begin to roast to death. As the victim, would begin to moan and to cry out in pain …his cries would echo through the pipes in the head of the bull so it seemed to make the bull come alive with snorting and roaring sounds. Even in the midst of the flames, the elderly bishop Antipas died praying for his church. The year was AD 92. A few years later, the Apostle John wrote the Book of Revelation, mentioning the death of Antipas in Pergamum. Today, all that's left there is the foundation; the Altar of Zeus is more than a thousand miles away in Germany. To the angel of the church in Pergamum write; “I know your works, and where you dwell... where Satan’s throne is. And you hold fast to my name, and did not deny my faith even in the days in which Antipas was my faithful martyr, who was killed among you, where Satan dwells,” Revelation 2:12. The people of Pergamum were known as the “Temple-keepers of Asia.” The city had three temples dedicated to the worship of the Roman emperor, another for the goddess Athena, and the Great Altar of Zeus, the king of the Greek gods. It is believed that this altar is the “Throne of Satan” mentioned in the book of Revelation! That word ‘throne’ was used in a personal private residence …and it was a chair for the lord of the house - the master of the house. The very fact that Yeshua (Jesus) would use this word means that Satan felt at home there …and he sat on a throne there - It was his territory! He was the master of that house! So, when you hear that “Asclepius” - the “serpent god,” was there - that sounds Satanic. When you know that Zeus was there and big upon the hill looming over the whole place was an altar to this false god, you know that Satan was there! And when you know they were worshiping the Caesars, you know that Satan was there …and when you put it all together - certainly this is Satan's throne! The city of Pergamum (Pergamos) also had a healing centre called “the Asklepion” …built in honour of Asclepius, the Greek serpent-god. In the first century, this was a cross between a hospital and a health spa, where patients could get everything from a mud bath to a major surgery. Even the emperors came all the way from Rome to be treated here, but this was no ordinary doctor's visit. If you were a terminal patient, you were NOT allowed to go into the Asklepion. These Asklepion priests didn’t want anyone hearing that someone had died in the Asklepion! There was a huge sign just above the official entrance to the Asklepion that said, ‘Death is not permitted here!’ So, the only way you were going to get in to begin with is if they knew you were going to live!” Patients entered through an underground tunnel. Then they drank a sedative, and spent the night in the dormitories of the Asklepion, while non-poisonous snakes crawled around them all night. They were told that the serpent-god Asclepios would speak to them in their dreams and give them a diagnosis. It was believed that the snakes carried the healing power of Asclepius, and if a snake slithered across you while you were sleeping at night, that was a “divine sign” that healing power was coming to you. The next morning, the patients told their “dreams” to the priests, who prescribed their treatments. Finally, the patients made clay sculptures of the body parts that needed healing and offered them to Asclepius! Satan certainly dwelled here! In the 19th century, German engineers dismantled the altar stone by stone and took it to Berlin. The so-called "Throne of Satan" went on display in the city's Pergamum Museum in 1930, just in time to inspire one of the most brutal dictators the world has ever seen, Hitler! We find it interesting that the Altar of Pergamum was dismantled by the Germans and rebuilt in Germany in the 1930’s …just prior to the rise of the Hitler Nazi Regime and WW2! The altar caught the eye of a young man named Albert Speer, the new chief architect for the Nazi Party. Germany’s new chancellor, Adolf Hitler, had commissioned him to design the parade grounds for the party rallies in Nuremberg. Using the altar as his model, Speer created a colossal grandstand at the rally grounds in Nuremberg. It became known as the “Zeppelin Tribune.” In the middle of the grandstand, where the bronze Altar of Zeus stood in Ancient Pergamum, Albert Speer built Hitler’s podium. 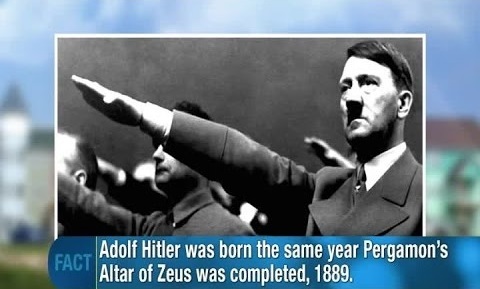 One can only assume that the Germans of that time had some understanding of the connections of the God Zeus, The Greek god, the intellectual word base – and the God of this world being Satan …and it says to us that Hitler was always going to send the Jews to the “fires” of the Holocaust as a “sacrifice” to the god of this world Satan! In the 1934 party film, “Triumph of the Will,” which was released in 1935, is the consummate picture of Hitler (which was the only film Hitler ever made and was shown to the people over 12 years) he is portrayed as a “godlike figure,” and the saviour of the German people. “Hitler's entrance in the film is from the sky, like a messiah who would be descending down through the heavens, through the clouds to the faithful waiting for him below. Hitler's “Final Solution” is now known as The Holocaust,” a word that comes from a Greek word meaning “a wholly burnt animal sacrifice.” In AD 92, the faithful martyr Antipas died, a “wholly burnt sacrifice” on the Altar of Zeus in Pergamum, the place the Book of Revelation calls “the Throne of Satan.” Centuries later in Nuremberg, in the centre of a redesigned Pergamum Altar, the bronze bull was replaced by a podium. From there, Adolf Hitler announced his "Final Solution" to the world... and this time, the “burnt sacrifice was six million Jews!” After the war, only a small part of the podium was left standing. 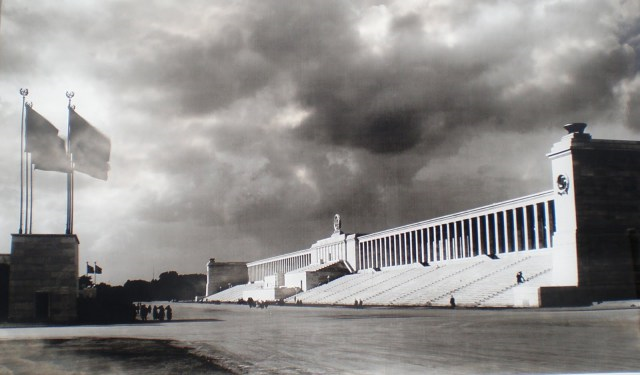 If you look at the kinds of ceremonies that were on display at “Zeppelin Field” with the reconstructed temple there patterned on the Pergamum Altar, you'll see photographs of Hitler, descending down the steps, like a tribune of the people from old Roman times. Pergamum was not originally the place where Satan dwelt. Babylon has always been literally and figuratively Satan’s headquarters... It was in the city of Babylon that Satanic worship had its origin. 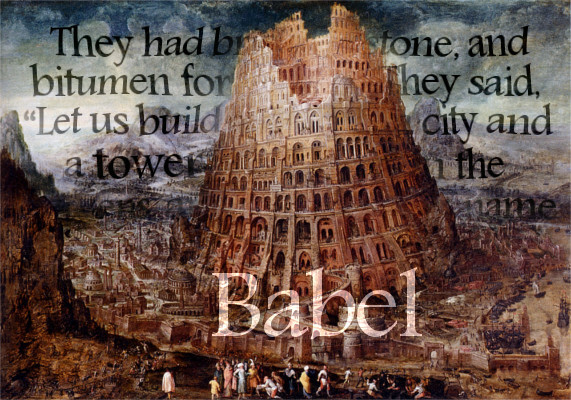 (Genesis 10:8-10; 11:1-9) Babel is the original name for Babylon. It means confusion! It was literally started by Cush, the son of Ham, but was brought to a kingdom of power and grandeur under his son, Nimrod, the mighty hunter. Nimrod, according to the Genesis eleven account and also according to profane history, set out to accomplish three things. He wanted to build a strong nation, which he did. He wanted to propagate his own religion, which he did. He wanted to make a name for himself, which he also did …and his accomplishments were so monumental that the kingdom of Babylon was called the head of gold amongst all world governments. That his religion gained prominence is proven by the fact that Scripture identifies it with Satan completely in Isaiah 14 and in Revelation Chapters 17-18. And by history we can prove that it invaded the whole world and is the basis for every system of idolatry, and the theme of mythology, though the names of the gods differ in various sections of the land according to the language of the people. That he made a name for himself and his followers goes without saying, for as long as this present age goes on (until Yeshua (Jesus) returns), he will be worshipped and honoured, though under a different name from Nimrod, and in a temple slightly different from the one in which he was originally adored Monotheism turned to polytheism in Babylon. The devil's lie and the devil's mysteries rose up against the truth of God and the mysteries of God in that city. Satan truly became the god of this world and exacted worship from those that he had duped, causing them to believe that he was truly the Lord. The original goddess-mother of Babylon was “Semiramis” who was called “Rhea” in the eastern countries. In her arms, she held a son, who though a babe, was described as tall, strong, handsome and especially captivating to the women. In Ezekiel 8:14 he was called “Tammuz.” Amongst classical writers he was called “Bacchus” and to the Babylonians he was “Ninus.” That this Ninus is the Nimrod of the Bible we can affirm by comparing history with the Genesis account. For centuries, Pergamum remained the site of Nimrod’s throne. With the appearance of Christianity, Babylonian paganism threatened the early Christian church of Pergamum as related in Revelation 2 given by Yeshua (Jesus) to His Apostle John …who referred to Pergamum as the seat of Satan’s throne which is Nimrod’s throne! This is a short summary of Pergamum with many questions are no doubt left unanswered and much more, no doubt, could have been said to enlighten us. However, this article is not intended to be a study of history - but rather it is intended to be a help to the study of God’s Word! Who were the Nicolaitan’s that Yeshua (Jesus) hated for their works? “Nevertheless, I have a few things against you: There are some among you who hold to the teaching of Balaam, who taught Balak to entice the Israelites to sin so that they ate food sacrificed to idols and committed sexual immorality. Likewise, you also have those who hold to the teaching of the Nicolaitans. Repent therefore! Otherwise, I will soon come to you and will fight against them with the sword of my mouth,” Revelation 2:14-16. Ancient Pergamos was a city where the worship of Zeus and Asclepios were endemic, whose symbol was a serpent entwined around a rod or staff. It was a city where paganism and politics were closely entwined and allied. Nicolaitan pressures were very strong in this city where pressures to “compromise” would have been very heavy. These are the ‘Nicolaitans.” Halley’s Bible Handbook tells us of them, “Sexual vice was actually a part of heathen worship, and recognized as a proper thing in heathen festivals. Priestesses of “Diana – Artemis” (Acts 19:28) and kindred deities were public prostitutes. The thing had been a troublesome question for Gentile churches from the start! Meantime great multitudes of heathen had become Christians, and had carried some of their old ideas into their new religion.” The Nicolaitans seduced God’s people to “eat things sacrificed to idols” – that is, participate in heathen, pagan festivals, including sexual immorality …in other words, to commit spiritual fornication and adultery – which is idolatry! This convergence of Christianity with pagan beliefs and practices was sheer apostasy in the eyes of God! Whoever the Nicolaitans were, they were conquering the people by bringing them under Satan’s authority through influential teachers who were tolerating or even promoting evil. 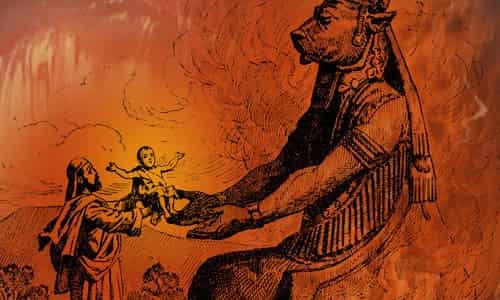 Balak and Balaam… Notice that the teachings of the Nicolaitans are comparable or the same as the doctrine of Balaam, the arch apostate deceiver and prophet who tried divine magic against Israel when they came out of Egypt. When God would not allow him to place a curse on Israel, he later taught the Midianites and their allies to “seduce” Israel from their faithfulness to God, by sending their daughters and wives to use their sexual charms on them, and to entice them to commit immorality and the partake of pagan festivities and idolatrous worship, combining paganism with the worship of God – something which God abominates and thoroughly detests! The blending of the truth of God with paganism and wicked pagan festivals and practices is an abhorrence to God. (2 Peter 2:1-2; 10, 12, 13-15). Since Balaam found out he could NOT curse Israel (Numbers 22), he realized he would be able corrupt them by getting them to marry the beautiful women of Moab. So, he taught or advised Balak to tempt Israel in marrying the daughters of Moab. This would defile their separation and cause them to abandon their pilgrim character. It was a teaching that promoted a breakdown in separation from the world. Note that Pergamum comes from two words; “per” which has the idea of; “completely, thoroughly” and “gamos”- “marriage.” The church at Pergamum began to lose their pilgrim character and was becoming thoroughly married to the world (James 4:4; 1 Peter 1:18; 2-11). Ex US President Obama cursed Israel…! Like Hitler, Obama stood with the Muslims against Israel. 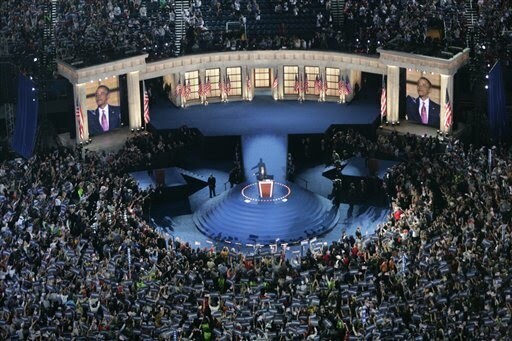 At a speech given by Obama to the United Nations on the 25th September, 2012, Obama said, “The future must NOT belong to those who slander the prophet of Islam!” Then he kept his promise to the Palestinian Arabs by arranging the UN Resolution 2334 to force Israel to retreat to the borders of 1967 and take away the rights of the Jewish people in East Jerusalem (City of David), Western Wall at the Temple Mount (Mount Moriah) in the Old City of Jerusalem as well as Judea and Samaria (so called Westbank) and force a Palestinian State on Israel. This he did by sending Kerry to Paris to meet with the 70 Nations without Israel present! Obama has done more to harm Israel than any other US President in history and this he did just days before he was leaving the White House on 20th January, 2017. We believe whole heartedly that Obama is NOT going to stop even though US President Donald Trump is the new US President and Leader of the Free World. Watch and see! A symbol of Biblical paganism which was stamped out after monotheism appeared with the patriarch Abraham was erected in two of the major cultural centres of the world, London and New York. The original centre of idol worship on which the structures will be modelled stood in Palmyra, Syria, for 2,000 years – until ISIS arrived in August of 2015 and, viewing the temple as a formidable spiritual threat and symbol of idolatry, destroyed it. ISIS had reduced to rubble many ancient religious and Biblical sites since it began forming its caliphate in Iraq and Syria: St. Elijah’s Monastery, the tomb of the Biblical prophet Jonah, the Ancient city of Nineveh. While the world has mourned the loss of these irreplaceable sites, only one was rebuilt and that is the “Arch of the Temple of Palmyra,” better known as the “Arch of the Temple of Baal” aka “Arch of Triumph.” Using a database of thousands of photos, the Institute for Digital Archaeology created a full-sized, 15-meter tall, 3D-printed replica of the entrance arch to the Temple of Palmyra, one of the few elements of the destroyed temple still standing. The pieces were made off-site and then assembled in place in London’s Trafalgar Square and New York. The arches were the centrepieces for the UNESCO World Heritage Week in April, 2016. During the Obama Presidency and social agenda of his leadership it was rife with unfettered pro-abortion, freedom-chilling, pro-homosexual and power-grabbing environmentalist objectives. The same kind of “hope, action and change,” that was swallowed up by the Baalism of the Canaanites of old. So, today’s liberalism is really just a very old book with a shiny new cover and a godless philosophy rooted in ancient pagan traditions, of which there is nothing to be proud. There’s “nothing new under the sun,” indeed. Eight years after the Obama Administration we see the fruit of this evil as women marched in rebellion to keep their liberal right to have abortion! In ancient times people danced around the “Asherah pole,” which was nothing more than a sexual symbol. It is quite possible that these poles functioned somewhat like the poles in what are called, “gentlemen’s clubs.” The people also acted out lustful, licentious, bawdy scenes for the enjoyment of all who came (Isaiah 57:5-8; Deuteronomy 23:17). They had all the different kinds of sexual experiences on display including men with women, men with men and all of the combinations that are popular today in sit-coms, movies and news reports. On top of that, they invited the crowd to participate (I Kings 14:24). 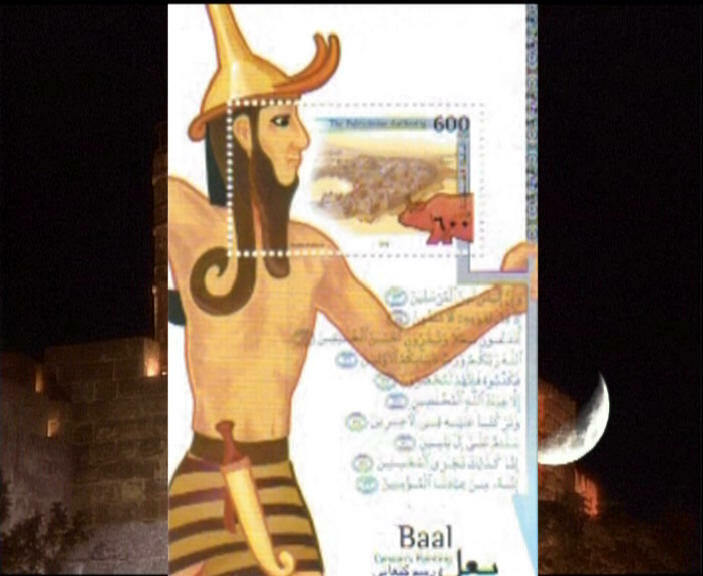 The Palestinian Authority even had a postage stamp in honour of the Canaanite fertility god Baal… And, it is no wonder that they offer their children as “human sacrifices” to their god Allah, in the form of “Islamic suicide martyrs” like “going through the fire” and the families of these martyrs are financially rewarded for killing Jews. Baal had the horns of a “bull” on his helmet, a club in one hand and a spear in the other! The god Allah was a pagan deity. In fact, he was the Moon-god. Archaeologists have uncovered temples to the Moon-god throughout the Middle East. From the mountains of Turkey to the banks of the Nile, the most wide-spread religion of the ancient world was the worship of the Moon-god. In ancient Syria and Canna, the Moon-god “Sin” was usually represented by the moon in its crescent phase. At times the full moon was placed inside the crescent moon to emphasize all the phases of the moon. The sun-goddess was the wife of Sin and the stars were their daughters. Why is Allah never defined in the Qur'an? Why did Muhammad assume that the pagan Arabs already knew who Allah was? Muhammad was raised in the religion of the Moon-god Allah and so too his fellow pagan Arabs. “Western Civilization was once totally pagan and then in a sense it got cleaned up. But what (one of these mysteries is) saying is, if it turns back away from God and turns to evil and immorality, it’s going to be seven times worse than it does before. And how that translates is, before you had the Gospel you had Nero, you had Caligula. But when you have a post-Christian civilization, it’s much more dangerous than a pre-Christian one. But that’s when you produce Hitler’s, you produce Stalin’s, you produce ultimately the Antichrist. That’s End-Time prophecy. We are witnessing that as well!”- Jonathan Cahn. What’s coming Next…? God’s Word is true! He IS watching to see how the nations are treating His people. God will have mercy on Israel through Gentile believers acting as mediators towards them… This is one of the most amazing revelations ever given to the church – an opportunity to do something that carries the highest priority in the heart of God. Yet… sadly, so few have seen the potential and the rewards of serving God in this manner - as agents of mercy to Israel and the Jewish people! Israel was and still is despised today… and a despisable nation continually turning away from God but nothing ever altered the purpose of God for that nation. The despised element is always a noticeable element in the purpose of God. When the Saviour of the world came, He came of that despised nation; like Israel… He Himself was “despised and rejected by men,” …and there is that despised element, “…things that are despised God has chosen,” 1 Corinthians 1:28. Now more than at any time is the time to support Israel and the Jewish people - the Lord’s Brethren! Today we are witnessing the nations and people turning their backs on Israel. Thank you for your love and generous support for Israel May Almighty God bless you and your family – (Ruth 2:12).